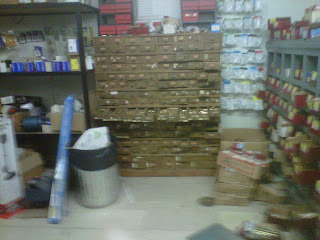 I recently had occasion to go to the local hardware store. It's a very old business in a very little town. The building looks like it used to be a grocery store at one time, but this establishment has obviously been there a very long time because there's a lot of dust. As we walked in we passed a display of silver belt buckles and fancy pocketknives, then through an area with horse halters, new and used saddles, and sacks of horse feed and dog food. I followed hubby up and down the aisles, past the plumbing supplies, the old bent-up boxes of various nuts and bolts, shovels and brooms, dog collars, new refrigerators, boxes of canning jars, and interesting houseware items. I don't think I'd ever buy a houseware item there though because of the dust. 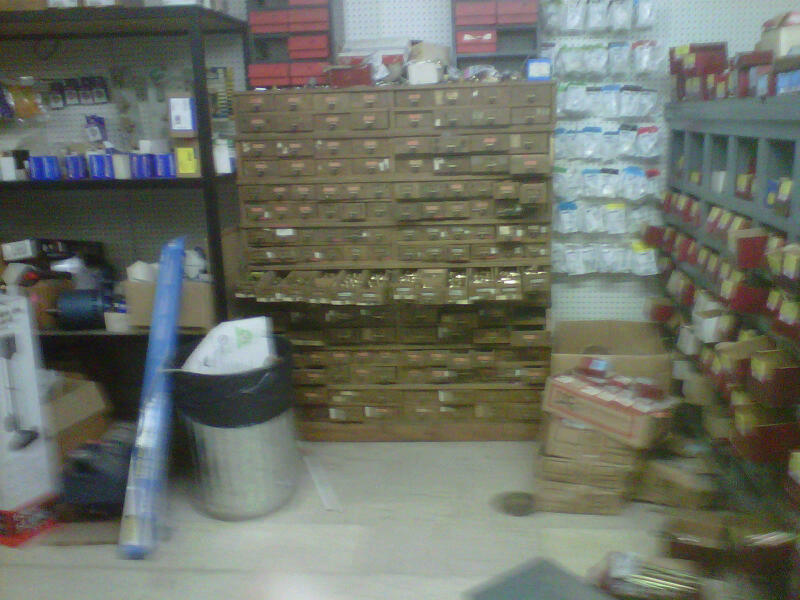 Now that's an old-fashioned, small-town hardware store, isn't it? It's the small things of life that mean the most, sometimes. :) Thank you for sharing this.